These pictures are a bit old. You can tell by the fact that there is no snow on the ground which is not the case currently. Actually if we want to be realistic it's not even snow that we have right now, it's more like ice sheets. 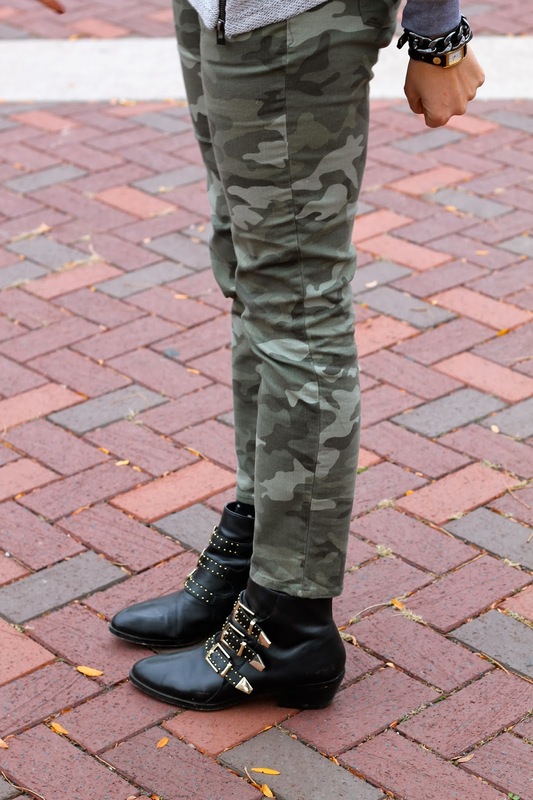 Also pretty much everything in this post is old as well but dont you worry, I gathered up some other zipper clad and camo covered finds that you can shop below! Scroll through to shop the look! Love your pendant - it's stunning!